There are almost seven years between my first child and my second. 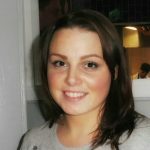 When I fell pregnant with Hugo, I felt like I was going to be a first-time mum again. Everything I had experienced with Henry seemed like a distant memory, and I was hesitant about what to expect. I expressed my feelings to my midwife at my booking in appointment, and she recommended that I download the Bounty App onto my phone. I would refer to it daily during my pregnancy, and I often find myself looking at it now even though Hugo is ten months old. With Henry my first child I remember receiving the Bounty packs through my midwife appointments and they were full of useful information, discount vouchers and of course some useful freebies! I was excited to learn this time around that they also had a free mobile app. It means all of the information is conveniently in one place that is easy to access right there from your mobile no matter where you are or what time it is. 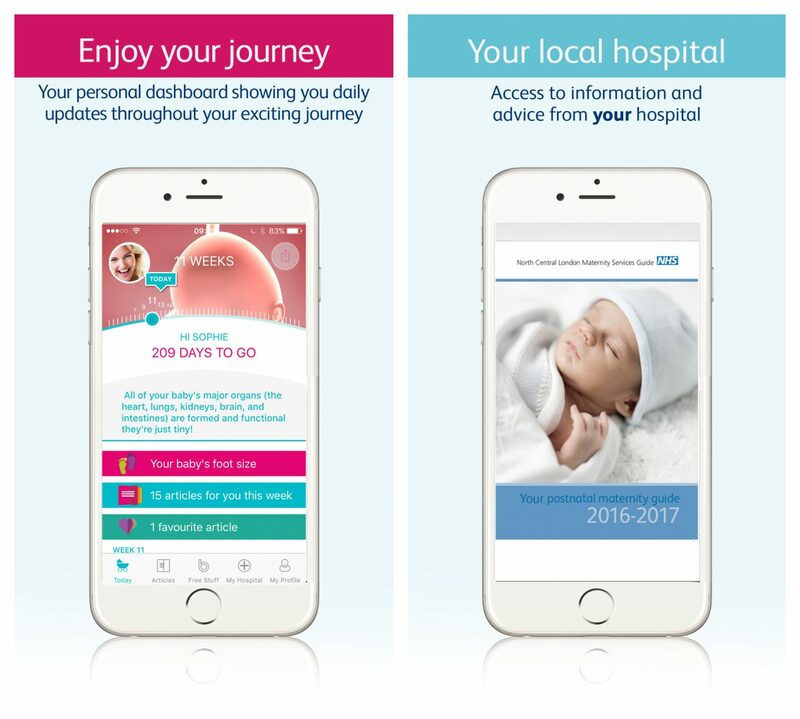 The Bounty App is an excellent addition to the Bounty features we have all known and loved for many years including the famous Bounty Ladies that come and deliver the Bounty Newborn Packs after you have given birth! Through pregnancy, I would often refer to the app to find out what stage Hugo was at each week. 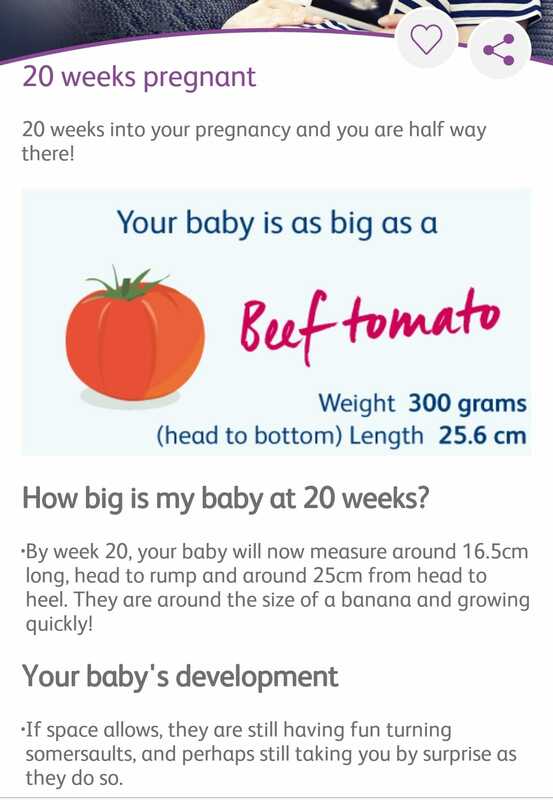 I found the information really reassuring, and It was interesting to learn that at 20 weeks, for example, he was the size of a beef tomato and to see how his foot size was growing visually! It put into perspective how small (and sometimes big) he was at each stage and made it all feel that bit more real. Following Hugo’s journey, each week on the app really helped pick up my mood if I was feeling low and it was an excellent way for my husband to feel involved in the pregnancy. We would often check the app on a Sunday evening before bed, and it was a great tool in explaining to our first son that he was about to become a brother. I always think it is hard for those around you to really understand and feel part of pregnancy because of course it isn’t their bodies that are going through it and this was a great way to bridge that gap. The app also has an abundance of informative articles related to your current stage of pregnancy that I found answered a lot of my questions or put my mind at rest. There is so much information about birth options and giving birth some of which was added to Bounty by my local hospital! I found this extremely helpful especially as I struggled with certain pregnancy symptoms. 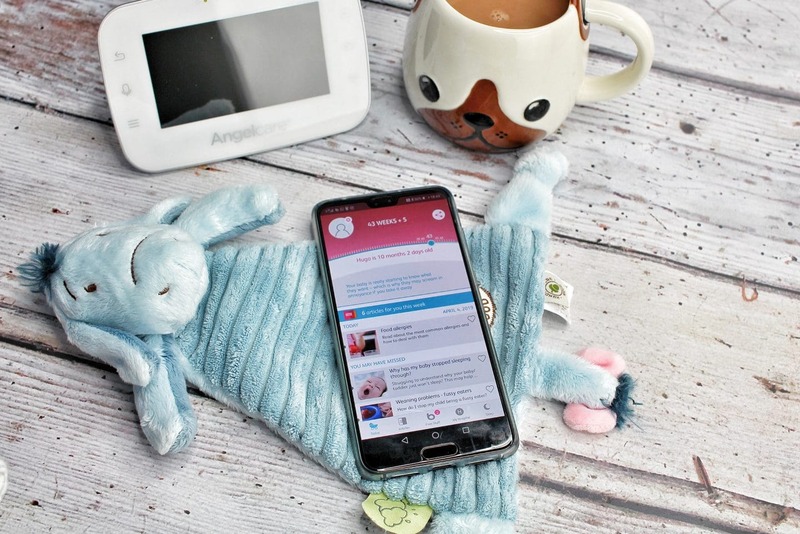 I have still found the Bounty App handy since Hugo has arrived and there are many articles related to his age that I have found essential while embarking on motherhood second time around. It has been a crucial tool for weaning, teething and reassurance about lack of sleep! When Hugo was suffering from Silent Reflux I would trawl the app and felt reassured in the articles I would find. I am also finding that content is added to the app daily, so there is always something new to read and discover which has been useful during those long night feeds! We all like to save money right? Kids are expensive, and I am always on the hunt for a voucher code to see if I can’t save a bit of money here and there. One of my favourite features in the Bounty App is the section with different voucher codes and offers for a whole range of useful items and stores. From here you can also use a code to redeem your Bounty packs at Tesco and Asda making it much more convenient! 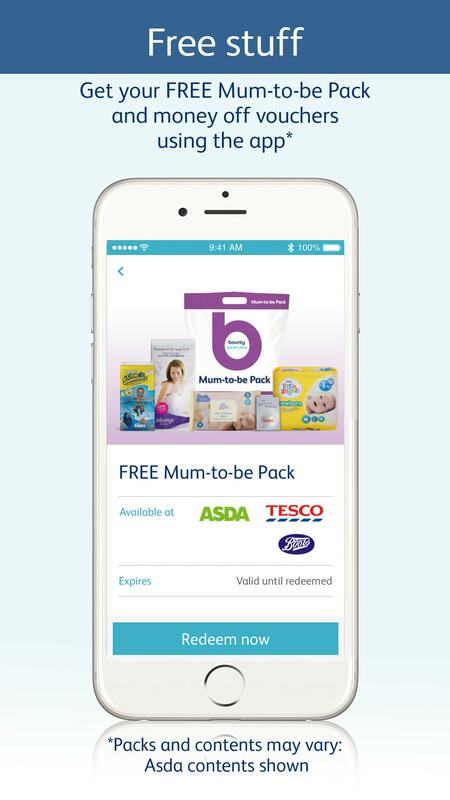 I plan on continuing using the Bounty App as Hugo continues to grow it has been such a useful resource through pregnancy and beyond. You can download the Bounty App on Android or iPhone here. 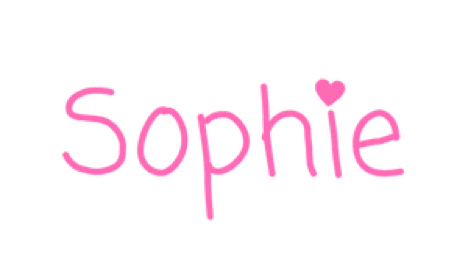 Want to find out more about me? Head over to this page. If you like reading posts like this then it is free and easy to follow me on Bloglovin. Don’t forget to head over to my Instagram, Facebook, Twitter & YouTube pages. As always words, views and opinions are honest and my own. Links marked with “*” are affiliate links this does not cost you anything additional but may mean that I receive a small percentage from any sales. For more information about any of this please head over here. Oh wow. I remember the bounty packs. The app looks and sounds fab though.